DENVER, CO — CoreSite Realty Corporation has announced the immediate availability of dedicated and private access to Oracle Cloud through Oracle Cloud Infrastructure FastConnect at CoreSite’s campuses in Northern Virginia and Washington, D.C. The addition of Oracle Cloud Infrastructure FastConnect will further enhance CoreSite’s comprehensive cloud on-ramp ecosystem as well as support high-performance platforms. Through collaboration with CoreSite, Oracle customers will benefit from reliable network access to their cloud data and applications from CoreSite’s Northern Virginia and Washington, D.C. colocation campus. Clients will enjoy improved performance, enhanced control, flexibility, and scalability that can provide access to critical business data and functions. For enterprises that have modest to high bandwidth requirements and cannot tolerate the inherent variability of internet-based connections, Oracle Cloud Infrastructure FastConnect offers a more reliable and consistent networking experience. Oracle Cloud Infrastructure FastConnect enables enterprise cloud connectivity to Oracle Cloud from trusted enterprise data centers. Connecting directly to the Oracle Cloud through Oracle FastConnect enables a fast, private connection to the industry’s broadest and most integrated cloud platform, with a complete range of services across Software-as-a-Service (SaaS), Platform-as-a-Service (PaaS) and Infrastructure-as-a-Service (IaaS). CoreSite’s Northern Virginia campus provides CoreSite’s customers with direct access to leading public cloud on-ramps, including AWS Direct Connect, Microsoft Azure ExpressRoute, Alibaba Cloud, and IBM Cloud Direct Link, as well as CoreSite’s Open Cloud Exchange. 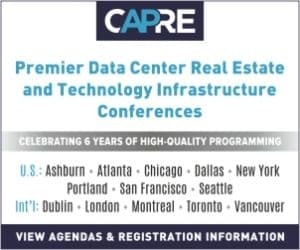 In addition to its cloud capabilities, CoreSite’s Northern Virginia colocation campus provides direct, low-latency network access to and from CoreSite’s data center campus in Washington, D.C., and key network access points along the Eastern Seaboard, enabling networks, cloud providers, and enterprises to scale, improve performance, and reduce costs. About CoreSite: CoreSite Realty Corporation delivers secure, reliable, high-performance data center and interconnection solutions to a growing customer ecosystem across eight key North American markets. More than 1,350 of the world’s leading enterprises, network operators, cloud providers, and supporting service providers choose CoreSite to connect, protect and optimize their performance-sensitive data, applications and computing workloads. Our scalable, flexible solutions and 450+ dedicated employees consistently deliver unmatched data center options — all of which leads to a best-in-class customer experience and lasting relationships. About Oracle Cloud Infrastructure: Oracle Cloud Infrastructure is an enterprise Infrastructure as a Service (IaaS) platform. Companies of all sizes rely on Oracle Cloud to run enterprise and cloud native applications with mission-critical performance and core-to-edge security. By running both traditional and new workloads on a comprehensive cloud that includes compute, storage, networking, database, and containers, Oracle Cloud Infrastructure can dramatically increase operational efficiency and lower total cost of ownership.